Water On Hardwood Floors – Yikes! 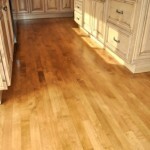 Water damage on beautiful hardwood floors can be one of a homeowner’s worst nightmares. Imagine coming home after a wonderful weekend get-away only to find that your dishwasher has leaked water all over the hardwoods in your kitchen. Or sometimes the water slowly sneaks in when you least expect it, like in the entryway of your home after a long season of our dreary Seattle rain. Whether it’s a small amount or a lot, water on hardwood floors is a bad mix. But don’t worry – it can be repaired. First off, it’s important to identify the source of the water damage and fix it completely. It would be pointless to repair the wood if you don’t seal the leak or fix the pipes from where the water is coming. If you need the help a plumber in the Seattle area, we highly recommend this local company – Butterfield Plumbing. Minor water damage can be a result of small leaks or standing water from a spill. One of the worst offenders is a pair of sopping wet shoes that sit for hours on the hardwoods (even my wife has made that mistake). 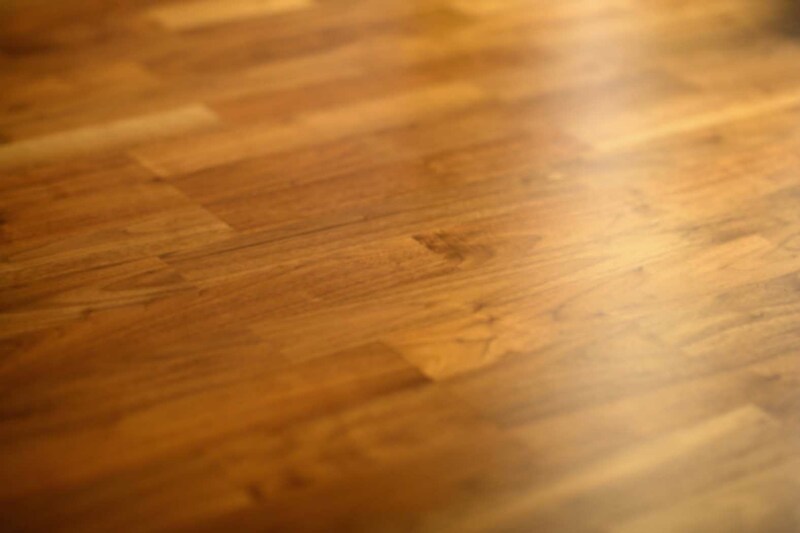 Minor water damage leaves you with hardwood floor boards that may be discolored and possibly swollen or cracked. To repair this kind of damage, we would begin by sanding back the affected area starting with coarse sandpaper before moving back to a finer grit. Once the area has been sanded back and the stain edges are smooth, we treat the area with a wood sealant that matches the rest of the floor. After one coat of sealant it may be necessary to sand it back even more before adding another coat. It’s important to hire an expert to repair any kind of damage, no matter how minor you think it is. There is always some kind of blending process that needs to be done so that the damaged area winds up looking the same as the original floor. When a lot of moisture has been absorbed from a major leak, the most common result is that the wood expands and become wider. Unfortunately, one of two things will happen: the floor boards buckle or cup. In either case you are left with serious damage and an uneven floor. In order to not pull up any of your floor boards we would need to implement a process known as desiccant dehumidification. First we would have you rent a dehumidifier that would run under sealed conditions for an extended period of time to completely remove the moisture from the area. As the moisture is drawn out of the air, it will also be drawn out of the swollen hardwood floorboards. In many cases this can help to counteract the cupping or buckling that has taken place. Sometimes the damaged hardwood floors will even shrink back to their normal size. Once the floor has been thoroughly dried, it can be sanded back and refinished to bring it back to it’s original smoothness. One downside of using a dehumidifier, besides the fact that it can also take it’s toll on your electric bill, is that it sometime doesn’t completely dry out the sub floor underneath the hardwoods. Only time can allow that to happen. If time is a concern, one way to speed up the process is to pull up a portion of the damaged hardwood floors, allow the subfloor to dry and reinstall new floor boards. In more serious cases, the entire floor may need to be completely replaced. It is important to keep in mind that each water damage situation is unique and requires variations to the repair process. Please contact us for a free estimate.